I have recently started scripting in CATIA. 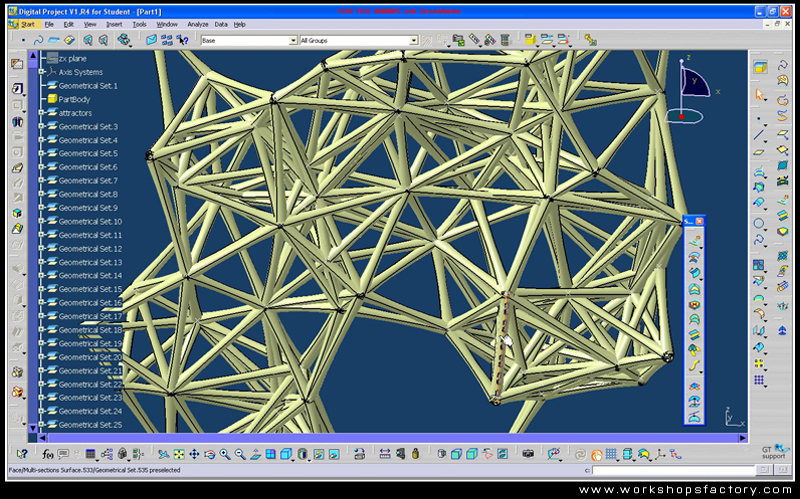 While Rhino is great for conceptual design and intuitive designing, CATIA has a much more robust kernel that allows for the display of hundreds of thousands of parts that can all maintain associativity. This type of program also offers the opportunity for associative documentation and manufacturing information. This is a simple recreation of my threshold lattice script using powercopies and automated part instantiation.